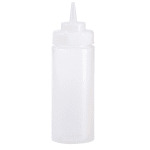 The Browne Foodservice commercial squeeze bottle is the perfect condiment holder for your restaurant to use. This commercial squeeze bottle has a 16 oz. holding capacity, has a wide mouth and comes with a no-drip tip. The entire squeeze bottle is made from clear polyethylene to last for years of use and is break-resistant. 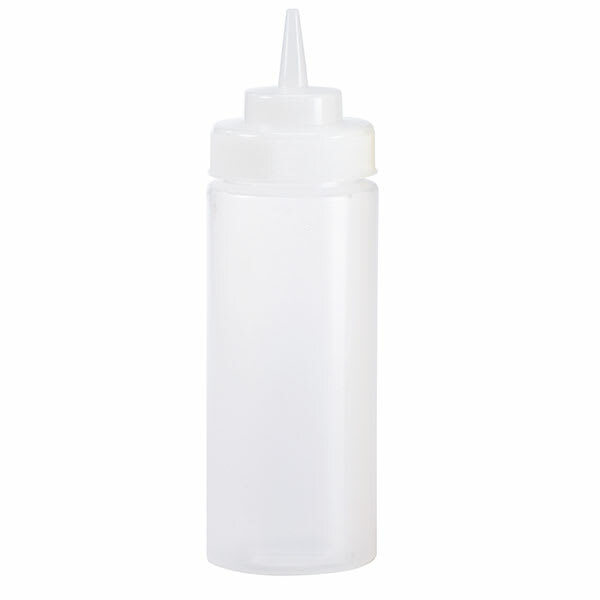 Whether you want to serve ketchup, mustard or ranch, with the Browne Foodservice squeeze bottle, you can have it all covered! Squeeze Bottle, 16 oz., wide mouth, no - drip tip, polyethylene, clear.